Guided Polarlife Outdoor experience in winter wonderland. 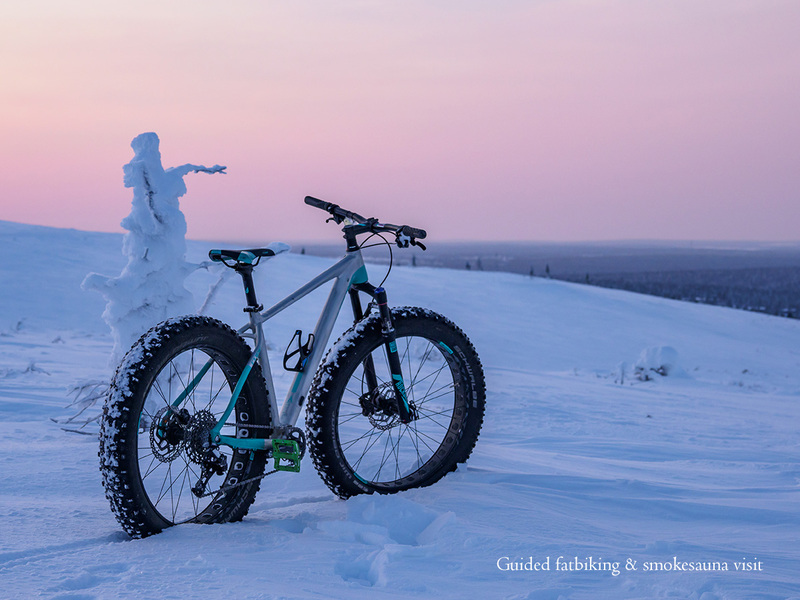 Our guide will lead you into breathtaking experience by fatbike and afterwards into world famous smoke sauna world. This makes good for your mind and body. Our guide will open our Lappish daily life and nature by stories and why we re so keen on sauna. Don t forget to take your camera! Suitability: Don t worry - you don t have to be athlete. Normal daily active -type background is suitable. Moderate grading. You will need your own clothes that fits in various winter conditions and moderate physical activity. Warm gloves or mittens recommendation and own balaclava (tube scarf etc.). We reserve right for cancellation due to weather conditions. Meeting point is Kiilopää s Outdoor Office, about 15 km to the South from the center of Saariselkä village. Take your own towel and swimming suit/ -pants, small backpack for your belongings. Smoke sauna is mixed sauna. Producer: Suomen Latu, Kiilopää, y-0202192-1. Winter 2018-2019, updated 01/19. We reserve the right to make changes.